Following our sponsorship last year of 2 of the academy squads we have pursued this opportunity once again and have sponsored 4 of the academy squads which is the Under 16s, Under 11s, Under 10s and Under 9s. 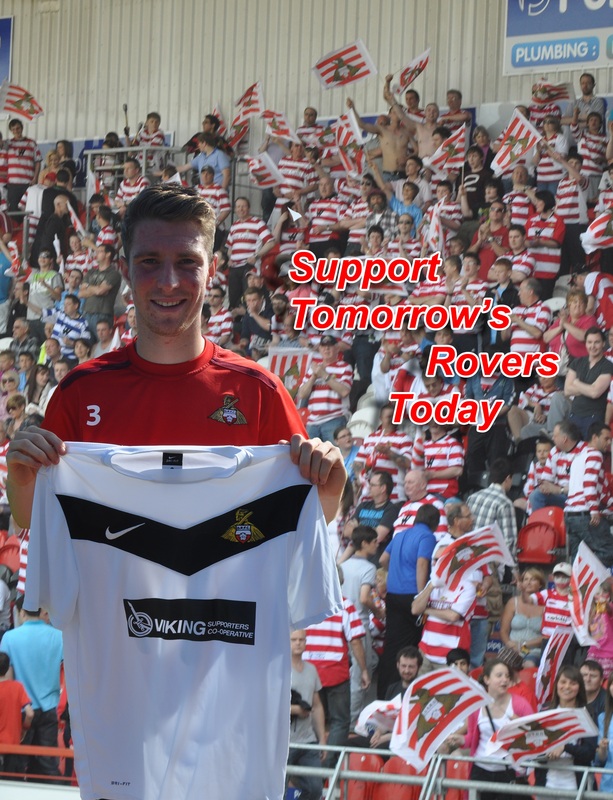 Pictured supporting our Tomorrow's Rovers fund is James Husband - who came up from the Doncaster Rovers Youth Team and was given his opportunity in the first team towards the end of the 2011/12 season. He has since been an ever present in the Doncaster Rovers squad and has turned in some impressive performances, not looking out of place on a field of players with combined career transfer fees well into the tens of millions of pounds and he has continued his impressive display into this season. We hope that we can continue to make donations throughout the season from our Tomorrow's Rovers fund, and as such we hope that you keep supporting our cause by donating to the fund. We know times are hard, but see this as a very worthy cause with a tangible payback. Many supporters tell us that seeing local lads come through and pull on the iconic red and white hoops gives them an enormous sense of pride.